In ancient lore, the dragonfly is the symbol of transformation and rebirth. 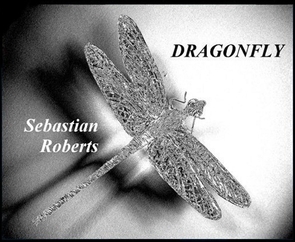 In Dragonfly, Sebastian brings a tired and skeptical nation through a process of metamorphosis no less dramatic than that undertaken by the dragonfly larva as it transforms itself from an ugly water bug into a beautiful aerial acrobat. Madison Thompson, a mechanical engineer, and Janice Edmonds, a Puerto Rican novelist, are dark horses in the 2016 election, but manage to pull off an upset using one very unusual tactic: Honesty. Coupled with a reticence to speak ill of the other candidates and a desire to focus on their own qualifications, they win victory - and the metamorphosis begins. In a twist becoming familiar in Sebastian's novels, the last few chapters throw everything into doubt. 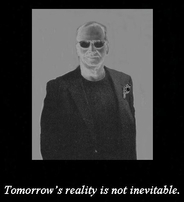 What really happens will rely on America acknowledging that the shape of tomorrow - Tomorrow's Reality - will be the result of hard work, not fate. PREVIEW - Chapter One and some front matter. Inscriptions at no additional charge. DRAGONFLY is available in Kindle, Nook and print formats. To place a print order, send an email or click the link to the left of this page. The E-Book is available Barnes and Noble. E-Book - ON SALE FOR $2.00!